The above M2-Nano board picture shows on the bottom the two stepper motor cables plus the connection to the laser power supply (blue: LO (Laser Out), 5V, GND and 24V input. The white connector on the right is for the end stops (GND, YL, XL, GND and NC). While that controller board would be ok, using it with the supplied (cracked?) CorelDraw software was a horrible experience. That’s why using the K40 Whisperer Software was such a good thing: easy to use and works much better. The K40 Whisperer software is free of charge (thanks!) and evolving (see http://www.scorchworks.com/K40whisperer/k40whisperer_change_log.html), but when working on another side project I taped in the the world of CNC and 3D printing controllers. And there I really enjoyed the benefits of the Smoothieware: free, opensource and powerful G-code and CNC controller software, used for 3D printers, laser cutters and CNC milling. 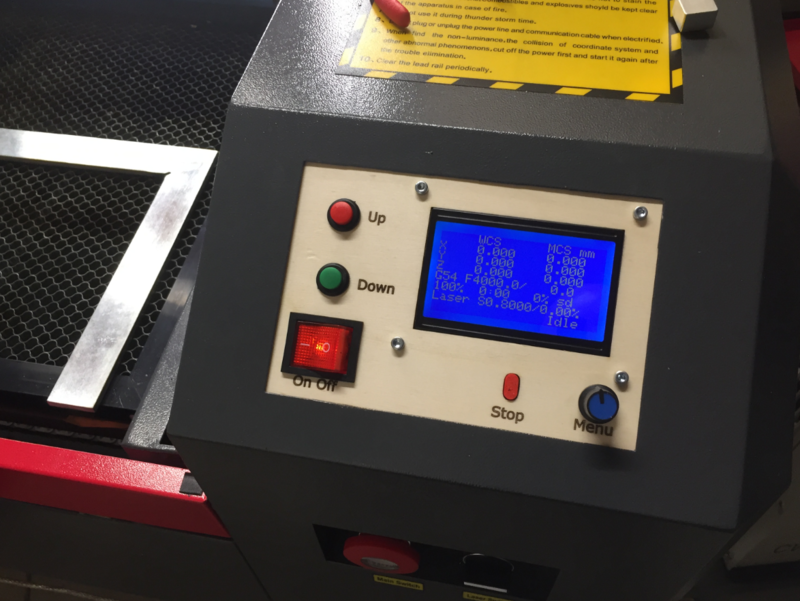 That Smoothieware project really kicked me off to enhance my laser cutter with a more powerful solution. 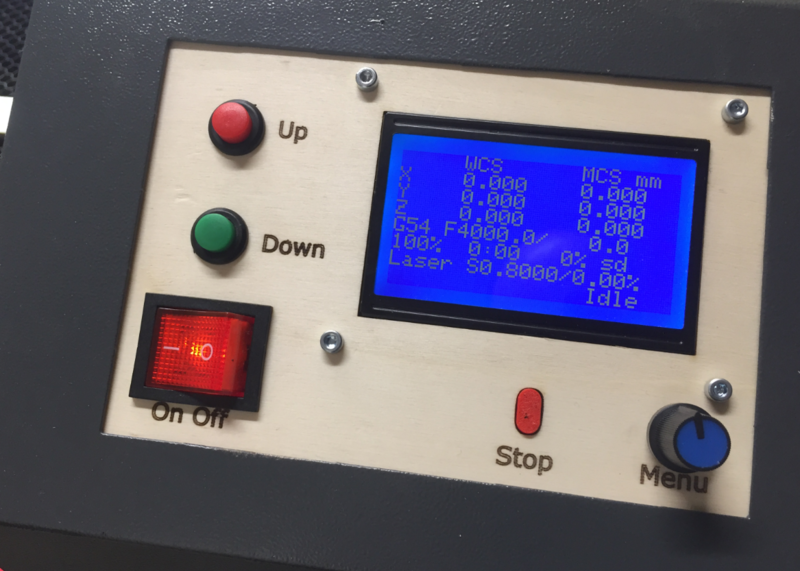 Controlling the laser power with software: I have to set the laser power on the panel, and lasering something with multiple speed and power requires multiple manual steps. 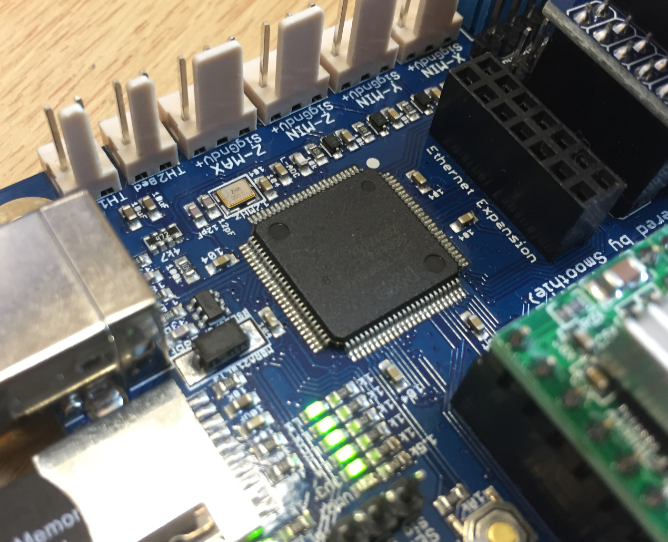 The heart of the Smoothieware boards is the NXP ARM Cortex-M3 LPC1769. Running the Smoothieware software, almost any aspect of the controller can be configured with a configuration file on the micro SD card. 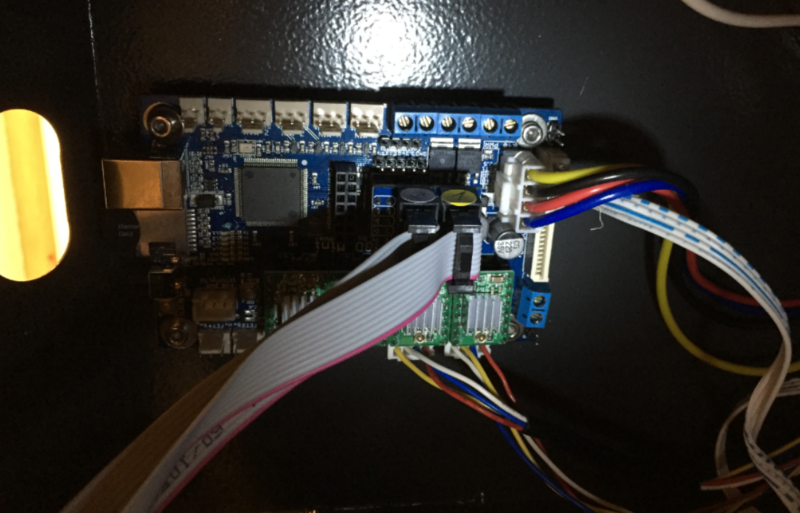 With the stepper drivers and LCD the board costs around $150. 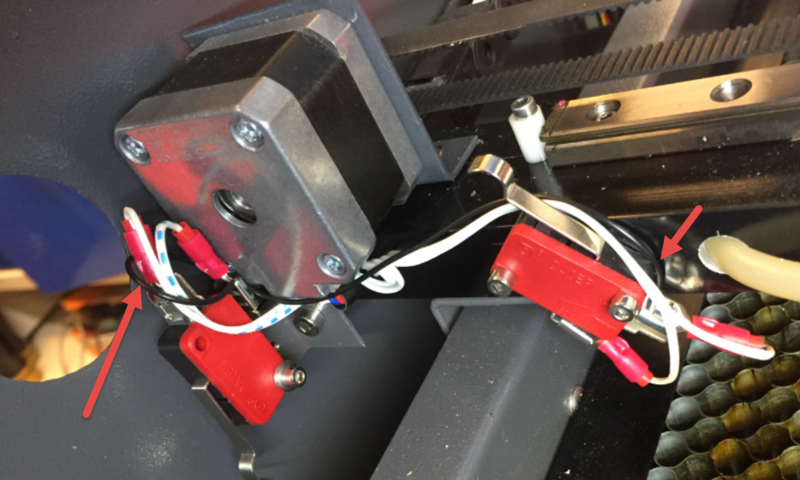 Using the guide from https://cohesion3d.freshdesk.com/support/solutions/articles/5000726542-k40-upgrade-with-cohesion3d-mini-instructions- the installation was easy. 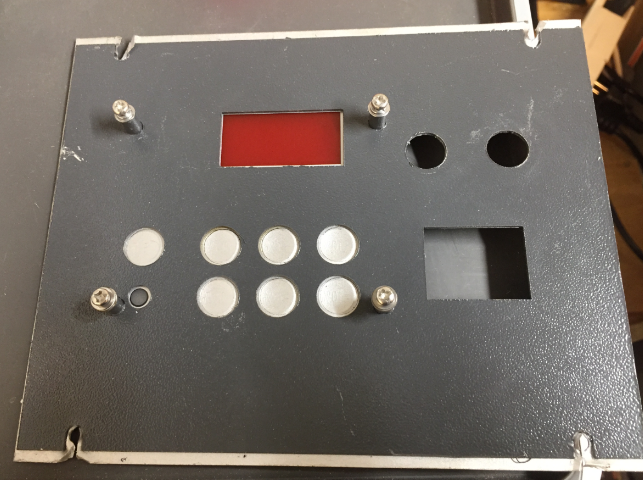 Knowing the Smoothieware already pretty well, adopting the SD card config file was not difficult neither to match my machine which a bit different from the usual K40 laser cutter machine. 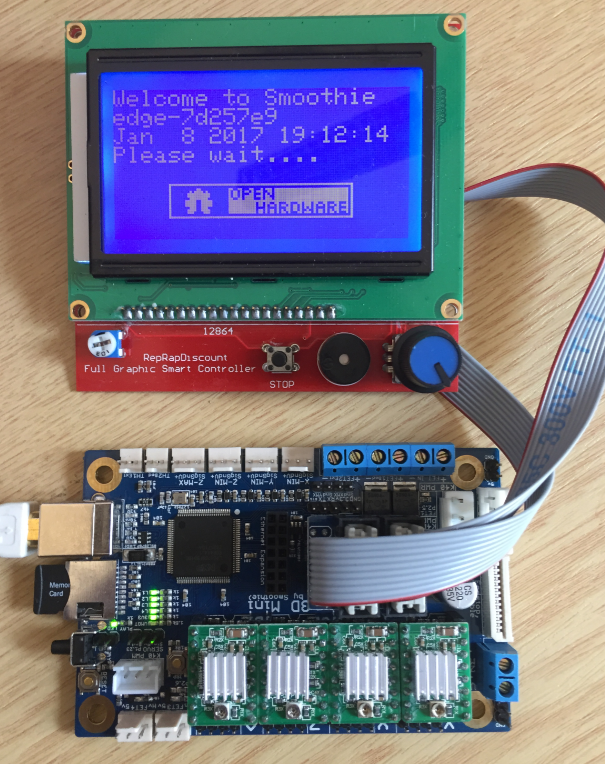 The Cohesion3D-Mini board runs the Smoothieware firmware which accepts G-Code. While looking for a good software, I have found LightBurn. 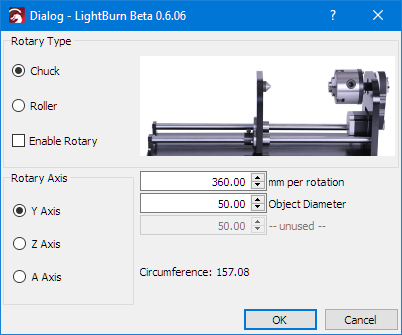 The LightBurn software is still beta, but worked very well for me (there was only a homing issue which is now fixed in the latest version). It is possible to try it out for 30 days, with a very reasonable price point of $30 for the G-Code version which I use. 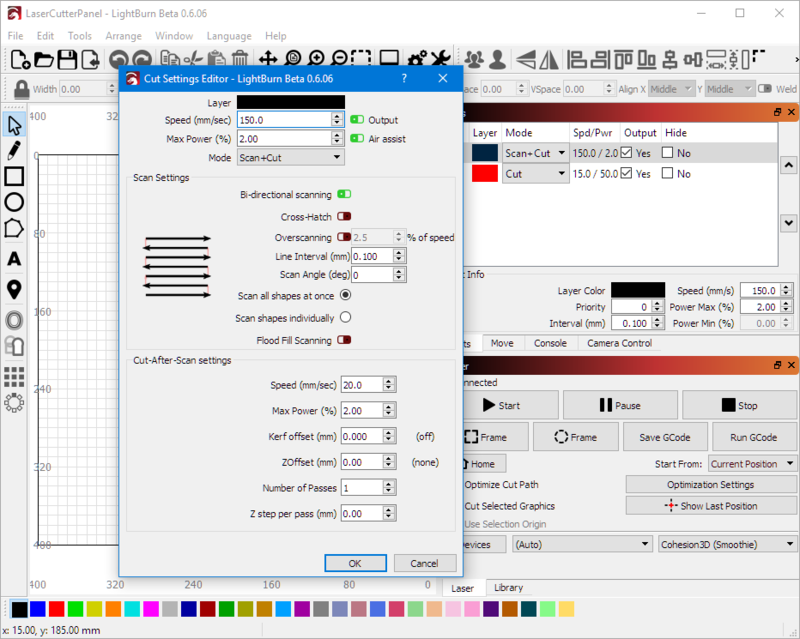 With Lightburn I can jog the laser head and assign different layers/colors with speed and power modes. 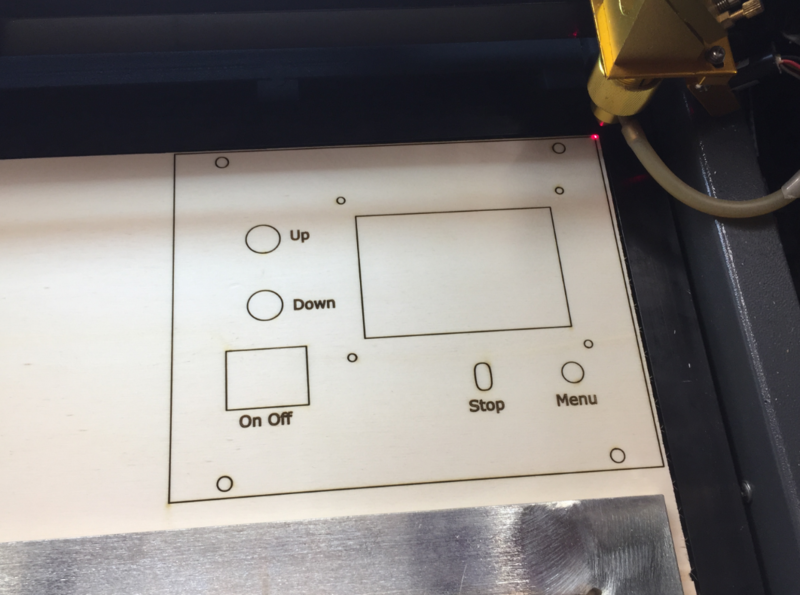 I was able to import my Inkscape laser cut designs into LightBurn. 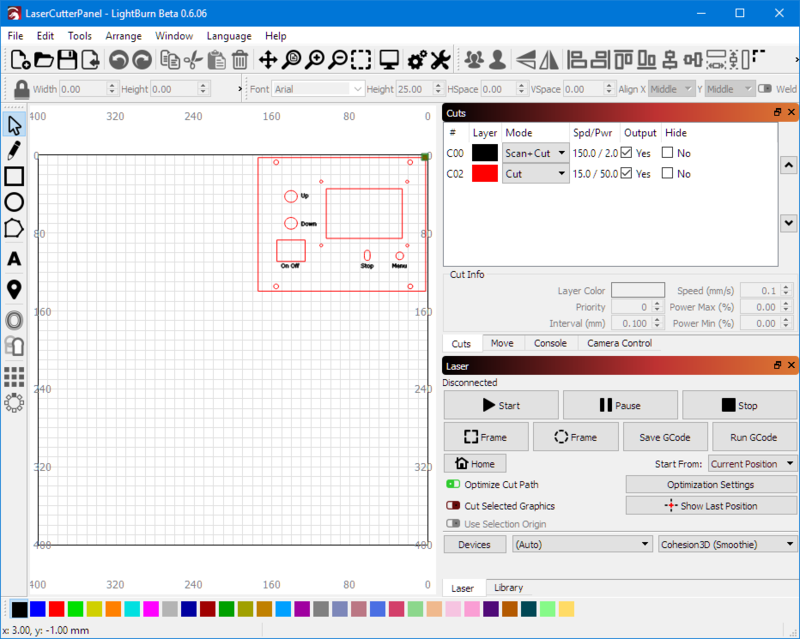 Lightburn includes editing functionality, but for now I prefer to use Inkscape for editing. Then I import the design into Lightburn to send it to the laser machine. 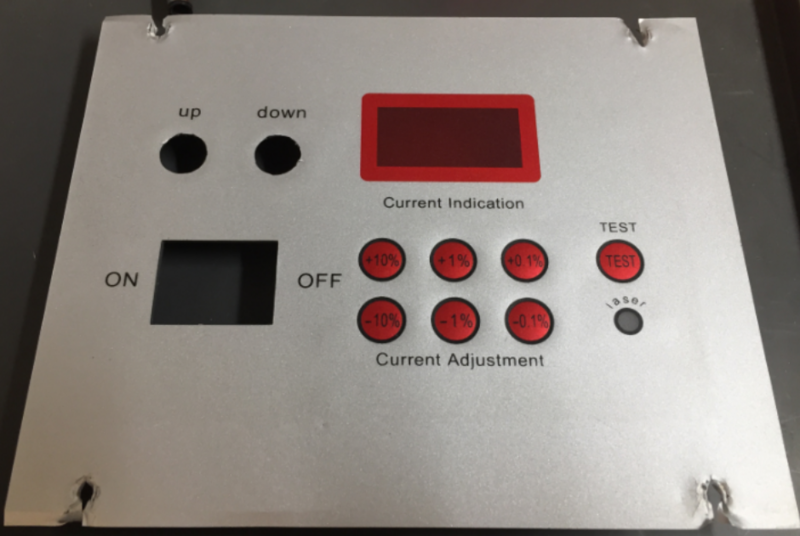 This has been a major update to the laser cutter: a new controller board with graphical display, plus new laser controller software running G-Code with the Smoothieware firmware on the Cohesion 3D Mini. 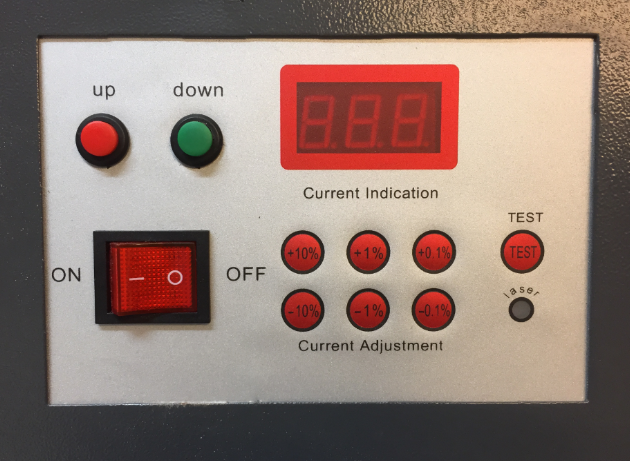 The previous software and hardware was working, but now I have a very fine tuned and powerful controller for my laser cutting and engraving work. I can run jobs with variable speed and laser power. The Smoothiware configuration still needs some tweaking as I want to run the laser with even higher speed. Compared to the original board/software I can run jobs faster with properly moved laser head around corners, so this alone was worth the time to make that upgrade. 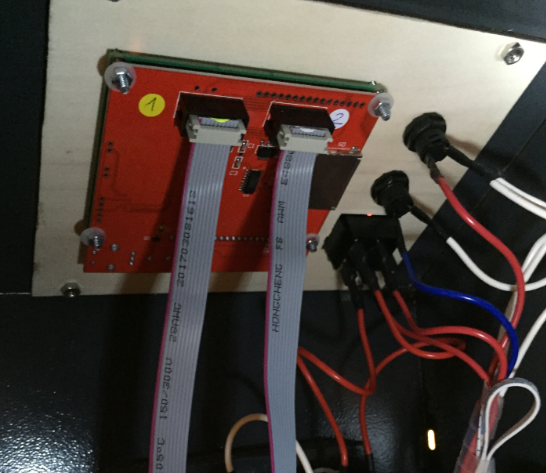 This entry was posted in ARM, Building, CPU's, Displays, Embedded, Laser, Laser Cutter, LPC, LPC, Tips & Tricks, Wood and tagged Cohesion3D, Front Panel, Laser Cutter, laser. Inkscape, LightBurn, Smoothieware, software, technology, Tips&Tricks by Erich Styger. Bookmark the permalink. I knew there were “larger than k40 but still desktop (not on wheels)” 50w machines with the M2Nano but I thought they were all blue and white. 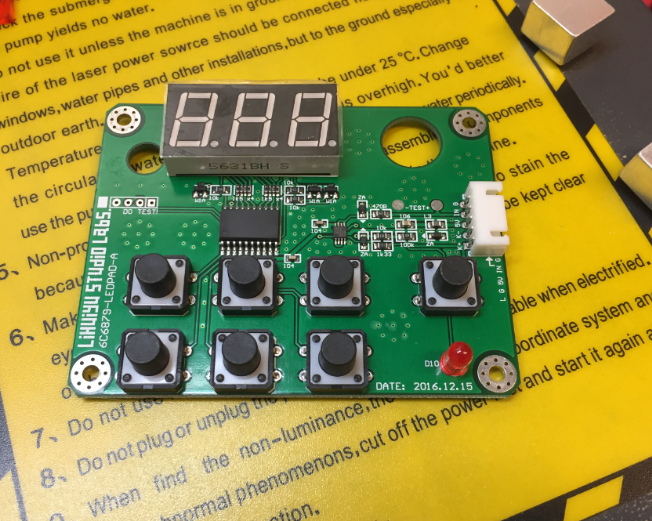 Some even have a 36v PSU which has prompted me to consider a board that supports 36v instead of just 24v that the current C3D boards support (technically 30v is the currently stated max and caps start exploding at/ above 35v). And I have updated the links (thanks for that suggestion). About the color: The picture of the machine I ordered was ‘white and blue’ too, but what I have received was ‘red and grey’ which I have found nicer. 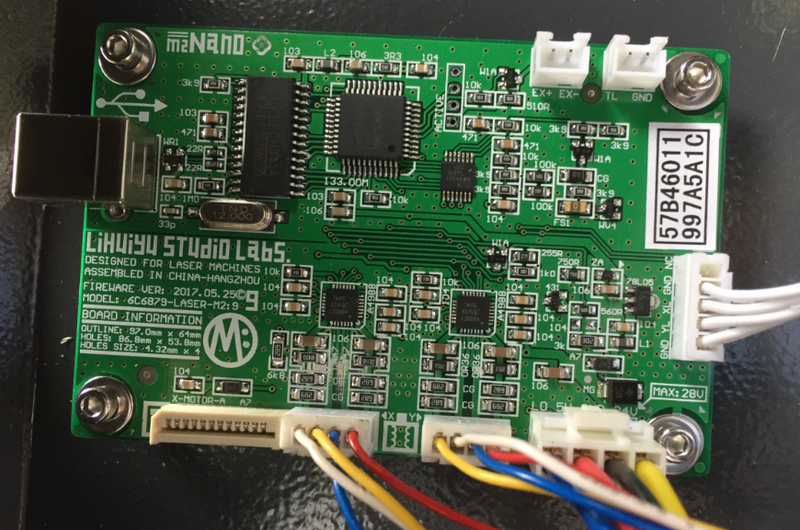 About the voltage: the M2Nano has ’24V, max 28V’ written on the board (see https://mcuoneclipse.files.wordpress.com/2017/08/m2-nano-laser-controller-board.png). I don’t have any other M2Nano board, so I cannot tell that this is the normal case or not. Actually it should be a weekend project only. If you need any of the configuration or design files, let me know. Erich, you are a good man, as usual! I bought the same machine based on your earlier post. I got it a few weeks ago and I’m really enjoying it (although importing it into the US costs almost as much as the tool). 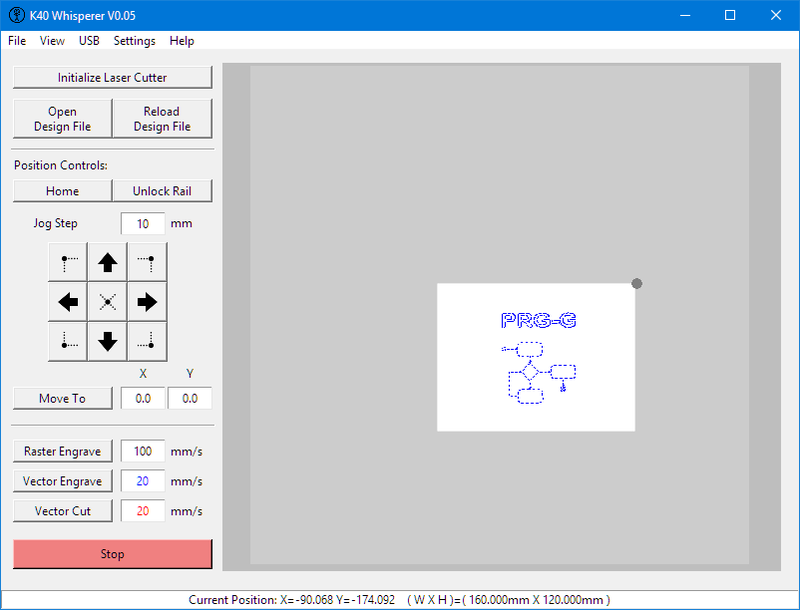 Is there any chance you can add your .dxf or .svg for the panel to the links? I want to cut the panel before I try doing the upgrade. Also, FYI – My lighted power switch died within 1 week of plugging in the tool. It is stuck in the ‘on’ position, so I just use the e-stop to energize the tool. I’ll let you know a part number if I buy a replacement. Seems like they cut some corners on switches. 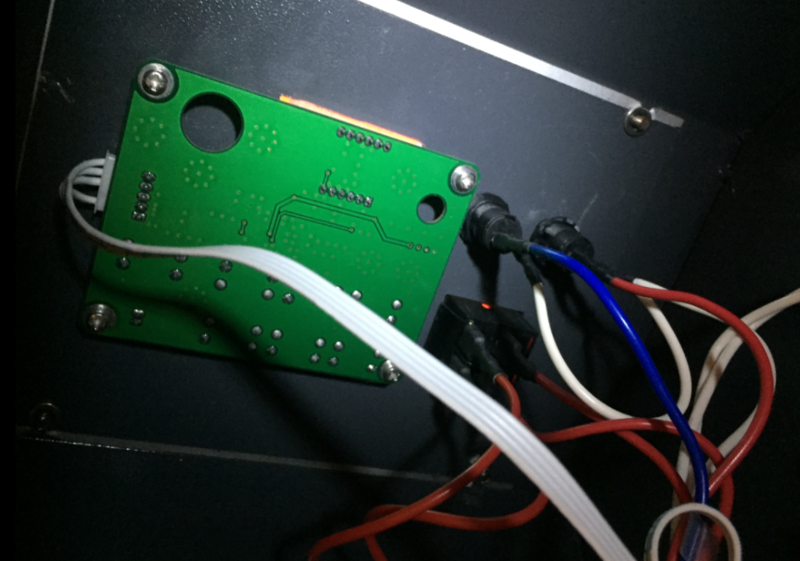 My power switch is still fine, but I probably might replace the bed up/down buttons (or better: have the bed auto-leveled (but thats something bigger)). Thanks :-). As for the turning device: I have not decided if I should buy one or build one. Buying one from China seems to have shipping costs too high for me. Thanks for this great post. I have a similar sized machine that also used a M2 board. Your post and instructions convinced me to also swap out my M2 board. I got my board a few days ago and swapped it out successfully. I have been wondering though, what did you do with the old display that manually controlled the power? Did you just disconnect it, or is it simply mounted on the inside and set to 100% power? 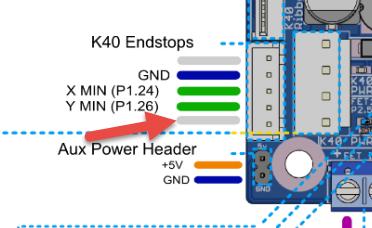 initially I had the display inside the machine with 100% power set (as you said), but then I realized that this is not necessary and potentially conflicts with the PWM from the Cohesion3D mini board. So I removed the display completely and I’m driving now the power with the LightBurn software and Coehsion board alone. Works great. Also did you or are you planning n adding the rotation device? This’s is one thing I’m definitely interested to add to the unit! Thank you for your time and hard work! I have put my configuration files on GitHub already: https://github.com/ErichStyger/mcuoneclipse/tree/master/LaserCutter. So have a look. I did not make much progress about the rotation device. I first wanted to order one from China, but they are rather expensive and shipping costs seem to be very high. So I ended up looking at a DIY version, but I have not decided on it yet.